Made in Canada since 1983! Our diapers have stood the test of time! *ONE SIZE – fits infants 8 lbs to 35 lbs (4 to 16 kg)! Folds down in the back for newborns, adjust as baby grows. *Velcro closures with a fold-back tab to for easy laundering. *10 layers of soft, 100% cotton flannelette for maximum absorbency. For quicker drying time, the inner panel folds out during laundering – these diapers only take about 20 minutes to dry in the dryer! 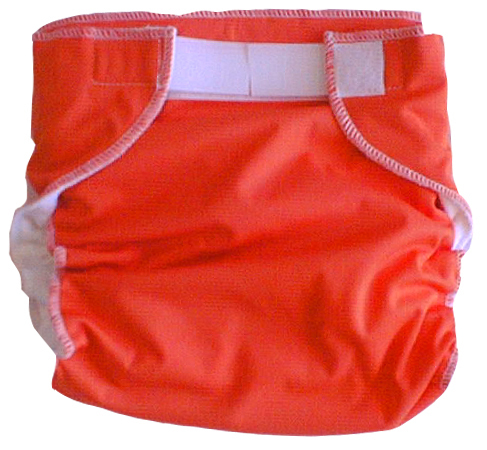 *Built-in waterproof cover – separate diaper covers are not needed! 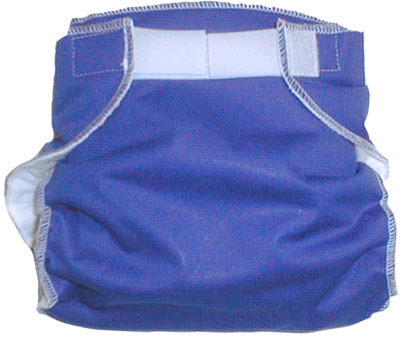 *Built-in cover is waterproof and BREATHABLE, for supreme diaper rash prevention! 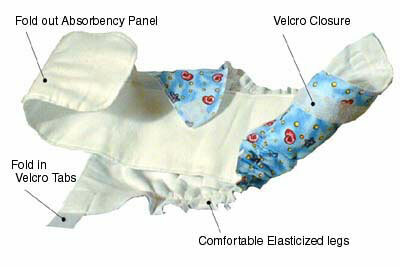 *Unlike fleece lined diapers these diapers allow air circulation as they are more breathable and more absorbent. *Soft, 100% cotton means that there are no synthetic fabrics next to baby’s delicate skin! *Gently gathered legs to prevent leaks, and for comfortable fit. 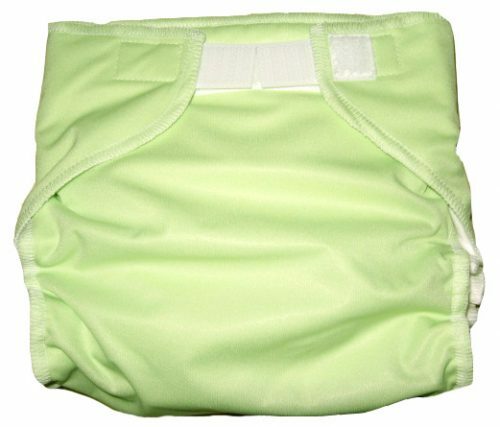 In addition to being healthier for your baby, using cloth diapers is also healthier for Mother Earth! Each by diapered with cloth diapers saves 2 1/2 tons of garbage from going into the landfill! Also available in royal blue, green apple, violet, orange, lavender, red, and bright yellow. Can be purchased on-line or at our retail store in Camrose, Alberta.